The family released a statement Saturday night. 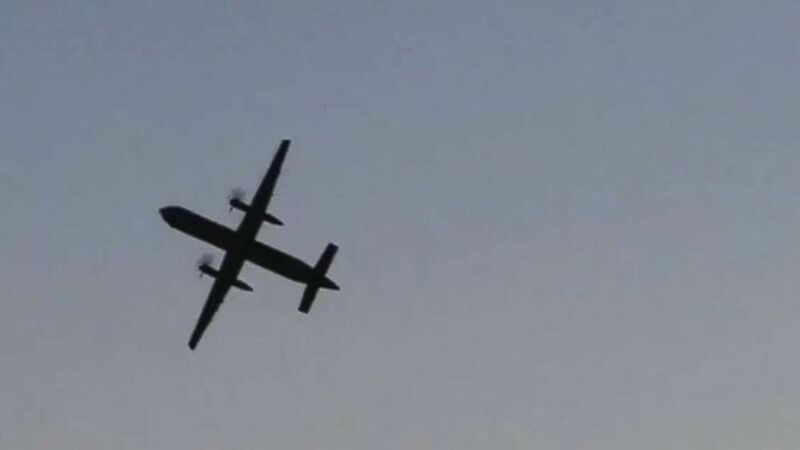 The family of the Washington man who stole a plane from Seattle-Tacoma International Airport Friday and spent an hour circling the region's skies tried to paint a portrait of a man much different than the suicidal one heard in air traffic control audio. Rich Russell, 29, was killed when the empty Horizon Air Q400 passenger plane he was flying crashed on Ketron Island, a small, sparsely populated island about 40 miles southwest of the airport. National Transportation Safety Board Western Pacific Region Chief Debra Eckrote said Sunday the flight data recorder has been recovered and will be sent to Washington, D.C., for analysis. Mike Mathews, a friend of the Russell family, read a statement on Saturday evening, referring to their friend as "Beebo," the name he used in his blog and YouTube videos. "On behalf of the family, we are stunned and heartbroken," Mathews said. "It may seem difficult for those watching at home to believe, but Beebo was a warm, compassionate man. It is impossible to encompass who he was in a press release. He was a faithful husband, a loving son, and a good friend. A childhood friend remarked that Beebo was loved by everyone because he was kind and gentle to each person he met." 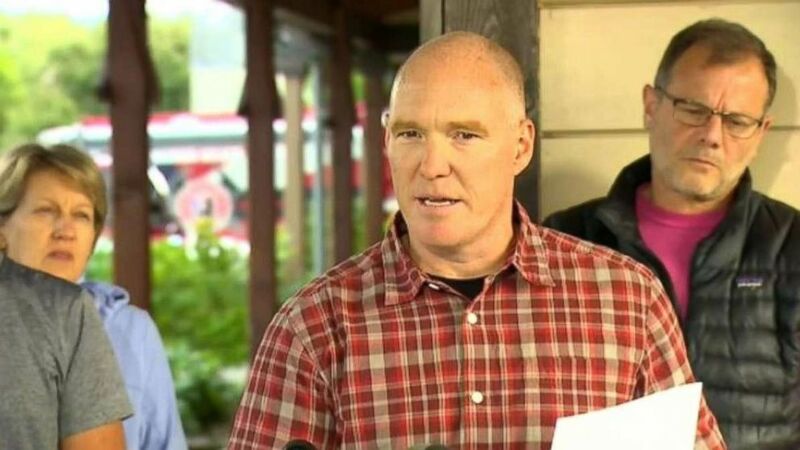 (KOMO) Mike Mathews reads a statement on behalf of the family of Rich Russell, the man who stole a plane from Seattle-Tacoma International Airport and crashed it on an island on Friday, Aug. 10, 2018. Russell had worked at Sea-Tac for 3 1/2 years as a baggage handler for Horizon Air, a regional carrier operated by the Alaska Air Group, which also operates Alaska Airlines. The family did not attend the press conference given by Mathews, though several friends of Russell stood with him. "This is a complete shock to us," Mathews said. "We are devastated by these events and Jesus is truly the only one holding this family together right now. Without Him we would be hopeless. As the voice recordings show, Beebo’s intent was not to harm anyone and he was right in saying that there are so many people who loved him." 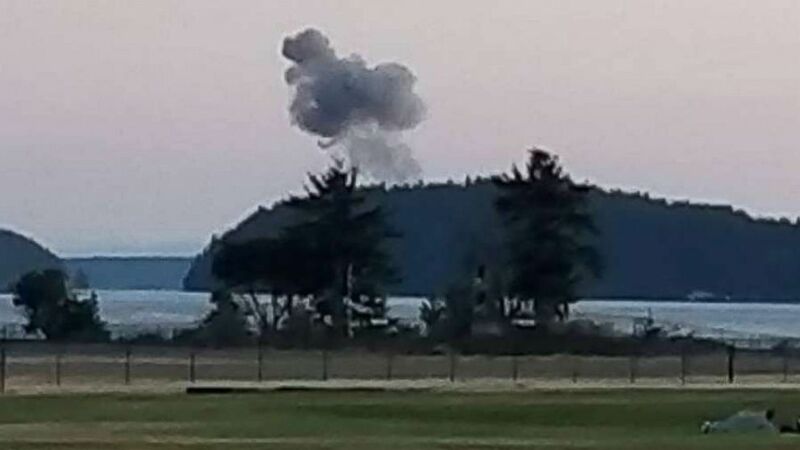 (John Waldron) Authorities said a 29-year-old Horizon Airlines employee stole an empty passenger plane and crashed it on an island in south Puget Sound on Friday, Aug. 10, 2018. Throughout Russell's hour-long joyride he communicated with the tower at Sea-Tac, often vacillating between euphoria, sadness and surprising calm. "I just kind of want to do a couple maneuvers to see what it can do before I put it down," Russell told air traffic control. "This is probably like jail time for life, huh? I would hope it is for a guy like me," he said a few minutes later. "We're not going to worry or think about that, but could you start a left-hand turn please?" an air traffic controller responded. "I don't want to hurt no one," Russell said a few minutes later. (Courtesy Terri Emge) Richard Russell, a ground services worker for Horizon Air, stole an otherwise empty passenger plane from Seattle-Tacoma International Airport, Aug. 10, 2018, and died after crashing into a nearby island. Russell can be seen in eyewitness videos pulling complete loops and on radio he talks about trying to do a barrel roll before deliberately crashing the plane. "Think I’m gonna try to do a barrel roll and if that goes good I’ll go nose down and call it a night," he told the controller. He later says he can feel his engine "going out." Minutes later the recording comes to an end. "We would like to thank the authorities who have been both helpful and respectful, Alaskair (sic) for their resources, the community, his friends and his family for their incredible support and compassion, and Jesus whose steadfast love endures," Mathews said. "We’d also like to thank the media for their sensitivity and acknowledging this as the only statement that will be released by the family, and we request that we now be given space to mourn." The Pierce County Sheriff's Department described Russell as a "suicidal male" and said he acted alone. The FBI's Seattle Office, which is handling the investigation, tweeted twice on Saturday evening to say, "please understand that the investigation is still in its early stages & it would be premature to provide details at this time." ABC News' Rex Sakamoto and Amanda Maile contributed to this report.